What is Fee simple Versus Leasehold on Maui, Hawaii? I received lots of calls from buyers who are excited to see an oceanfront condo listed less than $300,000. Oftentimes, I have to burst their bubble and let them know its a “leasehold” property. Zillow and many like websites don’t qualify the properites as “leasehold” so the public is unaware. Our Realtors Association of Maui has contacted Zillow/Trulia about this but so far no change from them. So please make sure you call your trusted REALTOR® and ask if the property you are looking at is either “fee simple” or “leasehold”. Below is a general and simple explanation of the difference between fee simple and leasehold properties. Please refer to the actual leasehold agreement and discuss with your attorney and any specifics. Fee simple ownership is plausibly the most familiar form of ownership to buyers of residential property, especially on the Mainland USA. Fee simple is sometimes called “fee simple absolute” because it is the most complete form of ownership. A fee simple buyer acquires ownership of the entire property, including both the land and building. The fee simple owner does not pay groundʼs rent, but does pay real property taxes and any other HOA fees (if applicable). The fee simple owner has the right to possess, use and dispose of the land as the fee simple owner wishes–sell it, give it away, trade it for other things, lease it to others (contingent upon CC&R’S house rules and zoning), or pass it to others upon death. The leasehold interest is created when a fee simple land-owner enters into an agreement or contract called a ground lease with a lessee. A lessee buys leasehold rights much as one buys fee simple rights; however, the leasehold interest differs from the fee simple interest in several important aspects. First, the buyer of residential leasehold property does not own the land and must pay ground rent. Second, the use of the land is limited to the remaining years covered by the lease. Therefore, the land returns to the fee simple land-owner in a process called reversion. Please note that often times the “ground rent” may get renegotiated every several years (read the lease). So it can go up substantially or not, depending on market conditions and negotiations. Also keep in mind that getting a loan on leasehold is possible but it may require more down payment. However if there is not many years left on a “lease” then it may be more challenging to get a loan. Talk to your lender who is familiar and offers leasehold lending for details. Keep in mind that “lease rent” is not the same as “monthly maintenance fees”. So you will have both fees in a condo and any other HOA fees (if applicable). 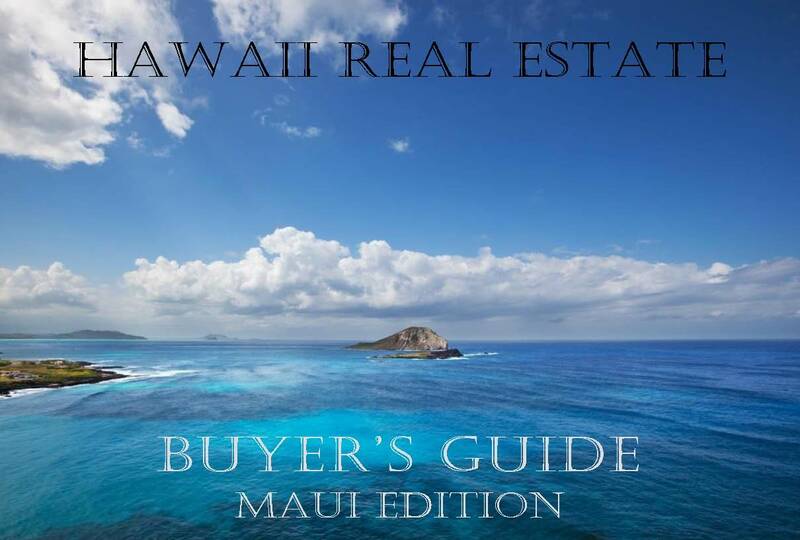 Owners of leasehold condos on Maui pay also property tax on their individual property. The Maui property tax department taxes it as if it was “fee simple” property. Depending on the provisions of any surrender clause in the lease, the buildings and other improvements on the land may also revert to the fee simple land-owner. ➙ How long is the lease term? When is the expiration date, and is there an extension clause? ➙ How much is the lease rent? ➙ When are the lease rent renegotiation dates? ➙ How will the new lease rent be determined? ➙ What are the terms of the surrender clause? ➙May I convert to fee simple? If so – at what cost? You may want to seek attorney and tax advisor on the details of the leasehold agreement.